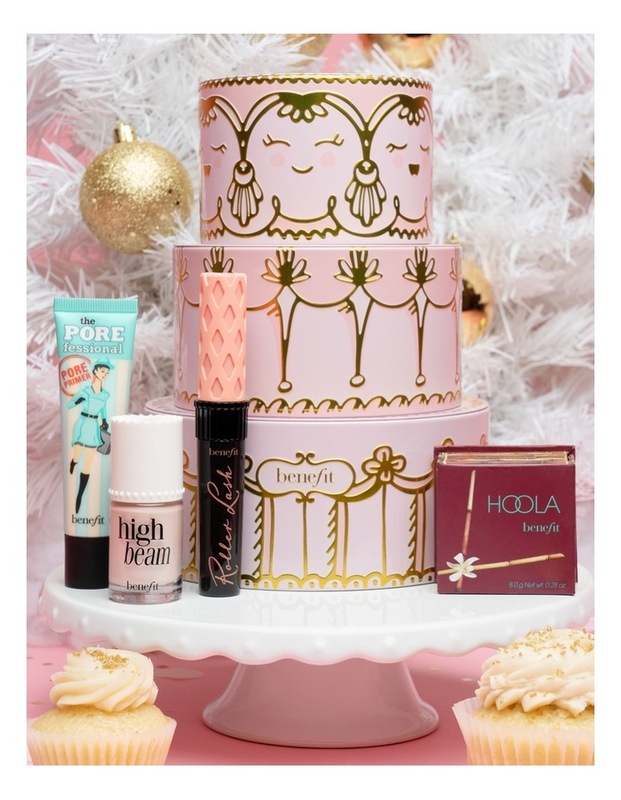 This makeup set will sweet you off your feet! Look bright, bronzed & beautiful thanks to Benefits bestselling curling mascara, smoothing & mattifying pore primer, natural-looking matte bronzer and liquid highlighter. These 4 full-sized faves come wrapped & ready-to-give in a delicious cake-inspired tin! Pat The Professional face primer onto skin to minimize the look of pores & lock on makeup. Swirl Hoola brush in box and sweep on for a natural-looking, matte bronze. 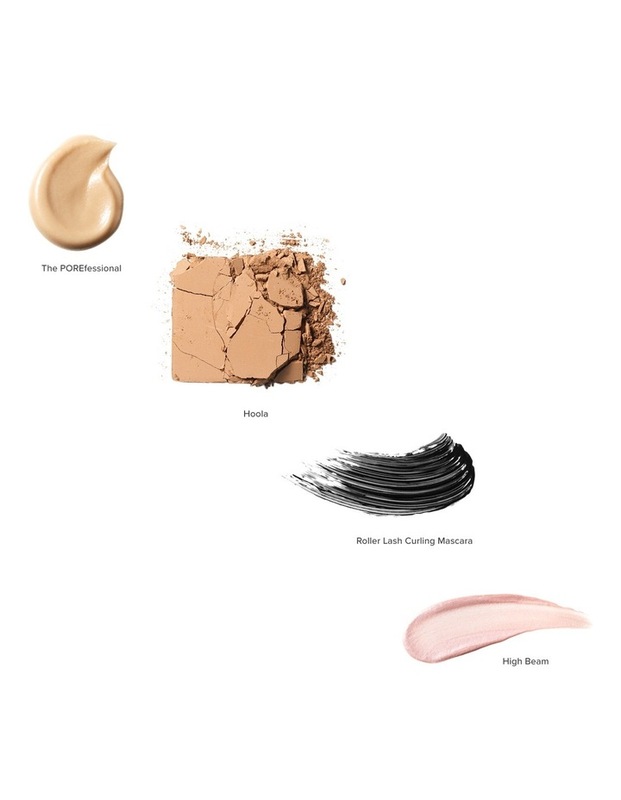 Dot High Beam on cheek bones & blend with fingertips.